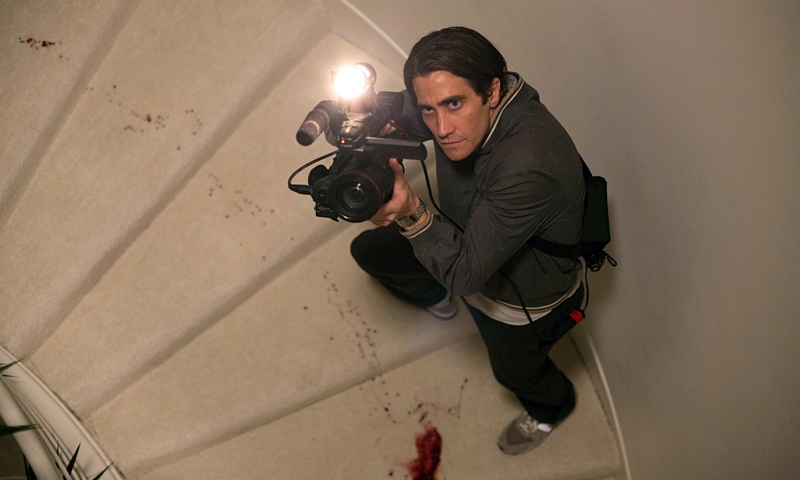 In Dan Gilroy’s Nightcrawler, he depicts a man, Lou Bloom (Jake Gyllenhaal) who has an entrepreneurial spirit that would make Tony Robbins proud and will do anything by any means necessary to achieve the success he believes he so rightfully deserves. Take Norman Bates’ way of smiling his way through conversations, Patrick Batemen’s deadpan somewhat narcissistic way of stating information in a logical and factual way and Travis Bickle’s sense of loneliness and you get the character that is Bloom. He is a new psychopath, one for the generation that is obsessed with the media and having information at their fingertips every second of the day. With an understanding that people want to see sensational media footage, Bloom takes it upon himself to buy a camera and a police radio transmitter and learn how to shoot videos that he can sell to local television stations. He sees that there is an opportunity to make quick and easy money, he envisions himself as a go-getter and when no one else will hire him, he starts his own company, aptly named Video Production News. Bloom chases down ambulances and gets in the face of the victims, he is not afraid to get that perfect shot, one where the audience can see the blood and guts of the story. He takes his footage to a local station run by Nina Romina (Rene Russo) who absolutely loves his graphic footage. The bloodier the better in her books, anything that will get her front billing on the news is what she craves and Bloom can see how her eyes light up when she receives that type of coverage. When Bloom realizes that other camera men out there like Joe Loder (Bill Paxton) are arriving at crime and accident scenes before him, he gets discouraged, but he makes a plan. We see him go back to his apartment in Los Angeles every day; he parks his car, waters his plants, uploads his videos and watches the news, thirsty to see his own footage featured in the evening. That aspect of the film was so reminiscent to me of the solidarity that encompasses such famous psychologically troubled characters. They live through seamlessly passing the boundaries of normal to psycho not really feeling a disruption in their personalities. In other words, the things they do, the way they behave and treat people does not affect them. 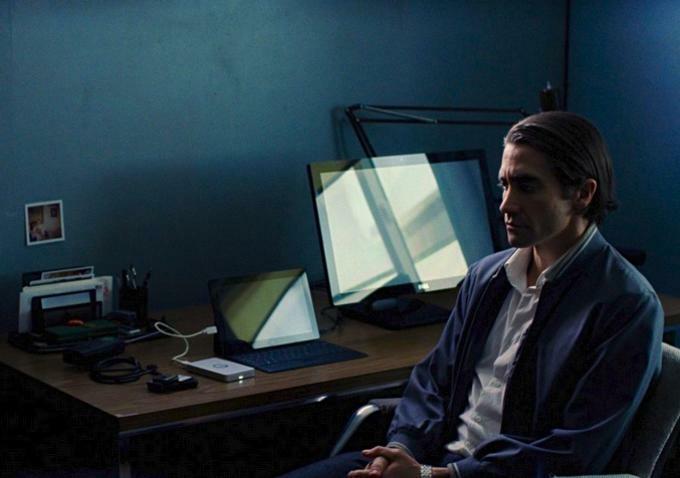 In order to get his company running more efficiently he hires his first and only employee, a young man named Rick (Riz Ahmed) who is willing to do anything to work. He hires him on the spot, and sells the job as internship, as if he would be learning from the best in the business, when in reality he has barely been working at all. The only other job we see him do is sell metal for money at the junk yards. Everything he does and says is ripped from Google searches and put together as his own, as if he was as eloquent and well spoken as a Human Resources manager. Rick’s job is to help him with shooting and basically be his navigator in the car. They sit around waiting for the police radio to tell them of the next big accident or crime and they run to get to the locations before anyone else. Bloom is relentless, he realizes that he needs to be the first on the scene and is willing to do so by almost driving other people off the road, running red lights and practically killing other camera men in his path. What Bloom does is he pushes the envelope and boundaries of reporting. He puts together clips and footage in a similar way to reality shows, edited to tell the truth he wants people to believe. As Nina says, if it bleeds it leads, and he takes that to heart when one night he arrives before the cops and shoots footage that could be considered tampering with police evidence. He deftly leaves out the part where he films the criminals who committed the crime and shows Nina what he found; of course she runs with it and puts it up for the world to see. Causing a commotion and scaring everyone since the crime took place in an upper class neighborhood. What ensues from here is Bloom’s way of fixing the problem, of showing that he takes initiative and can deliver the criminals in the way that he sees fit. Everything is always on his terms in order to make himself seem the most important person in the equation. 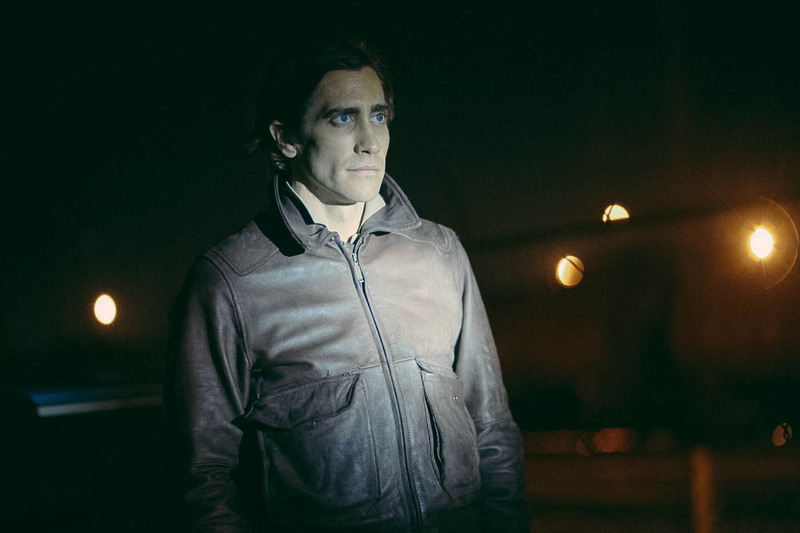 The best part of this movie is Gyllenhaal’s way of morphing into such a demented person. He delivers each line as thoughtful as possible, but behind the glimmering persona he is perceived to be, it is obvious through his eyes that he is a little off. Many of the shots are close ups and this only adds to make the film seem so much more real and fast paced, at times it feels as if we are in the car with no seat belts on whizzing through the city and canyons of Los Angeles. The camera angles and cinematography were all beautifully composed and helped give off that dark Hollywood feel to it. The streets of LA are not as pretty as what we see in TV and in blockbuster movies. They are dingy and filled with people, you never know what is lurking around the corner and we get that feeling in this film. Russo was outstanding and it was great to see her back in films. At times when she would talk to Bloom, she seemed both put off by him, but turned on as well. I liked that she portrayed that duality to her, she wasn’t a meek woman afraid of him, and instead we start to see that maybe she is a little more like him than she thinks. Ahmed played wonderfully against Gyllenhaal, he showed emotion and range and I hope to see him in more films. 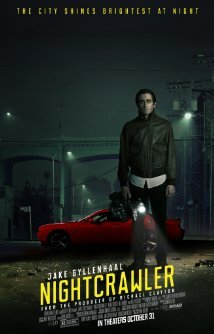 Nightcrawler is on Netflix now and I have seen it again a few times and each time it gets better. I really enjoyed this movie, I would say it was one of my favorites of 2014, loved the characters and the fast paced action. This was a fantastic movie in my book and I am not just saying that because I am in love with Jake Gyllenhaal. Wonderful and very perceptive analysis. Turned off and turned on by him is a great way of phrasing it. I loved the other side of LA that was portrayed too. Thanks Alex. Yes had to mention that LA is not always what it is cracked up to be! It’s Melissa! And I just saw it two night’s ago! I’m overjoyed to see you back. And what a fantastic review. I’ve got so much on my blog that I think will interest you, so hop on over whenever you want. Great review 🙂 I missed this when it came out in the cinema, but I kicked myself afterwards when I finally got round to it. Definitely one of my favourites from 2014! Yes it was totally great. Glad you did get to see it though. Thanks Jenna and Allie! One of my favorite films of the last year. The vocal cadence of Lou Bloom is so off-putting that it sets you on edge without being poetic. This was the most egregious oversight at the Oscars last year, Gyllenhall was amazing. Richard totally agree he was overlooked, he was amazing in this movie!! Outstanding review. I loved this movie and I think its lack of Oscar recognition was a travesty. Thanks Abbi! And yes it deserved an Oscar nod at least, but of course it didn’t get any of that. Damn them! Nearly forgot about this one and the fact that it’s on Netflix. I’ll need to check it out. Great review! I look forward to coming back to read more, you run a pretty great blog. Check out mine if you get a chance too! Thank you! I appreciate it. I will check out your blog too! !